I never knew Search was so easy to use, I had always thought you had to type what you wanted to search for followed by the location in the search field. All you need to do is open the app and Bartercard members for your current location automatically populate, your phones GPS connects you to members nationwide and if you don’t want the current location just move up or down the map till you get to your right location, then pinch out to enlarge the map & tap on the green or orange business locators to see the member – it’s that easy! I’ve been having heaps of fun searching all over the country and I’ve found lots of members I can trade with for our business and for our home renovations. It’s a bit like browsing through the big old heavy Bartercard catalogue they used to produce years ago (it was like a brick - lol) the Bartercard search app is awesome, super fast & always on you, where ever you go - give it a go, you may be very surprised at who you will find. Some may be sceptical but there are so many ways you can spend your trade dollars. My business has been a Bartercard member for 10 years and during that time we’ve used trade dollars to help build the business by saving cash (which we can then set aside for cash only expenses – IRD, rent, rates, insurance etc). We spend our trade dollars on rubbish collections, computer R&M, we get the studio lawns mowed, we have fresh flowers weekly for our reception area, we advertise in the local free newspaper. Our stationery is printed using trade, we make charitable donations, we take drawings using trade and provide staff incentives. All our studio promotions are done using trade dollars – if it can’t be purchased on trade, there is no promotion! The biggest area of success is we’ve been able to branch out from NZ to conduct beauty therapy training in Rarotonga three times a year! We use the trade dollars to cover expenses such as accommodation, car rental and dining which saves us cash which we invest back into the business to build up the contacts and courses. We have also partnered with a resort spa in Raro who is also a Bartercard member and they purchase products from us. This is a win-win. Being a part of the network is great for advertising. We can quickly get promos out to the members to help us fill available appointments or last-minute cancellations. We also find the trade shows are beneficial in enabling us to turn over our stock and promote the business out to a wider market. During our time of being a member, we’ve found that not only do we benefit from Bartercard members introducing other members to us, they also introduce their cash paying friends to us who then become regular cash clients. 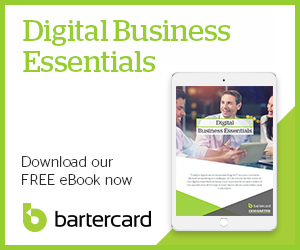 Bartercard really is a great business tool! You do need to think outside the box – if you believe you will find everything you want to purchase on Bartercard in your local main street, then you will be disappointed. If you are prepared to put a little effort into looking and seeking out new products, then I would highly recommend Bartercard. Along the way, you meet some great people and they have plenty to offer back with knowledge and skills of how they use the Bartercard network to their advantage. Initially, I didn’t really think Bartercard was for me. Even after signing up, there were days when I was thinking it’s not really for me. But how things changed! With the regular contact I had from my Trade Broker with details of different promos, all of a sudden I could afford turkey for the doggies, get frozen foods for the masses that makes up my family, get facials for the girls, (something we could never afford since all my foster kids came over to live with us), and so all of a sudden I started to pay a little more attention to the listings that I was being sent. While I was in Fiji enjoying myself, it suddenly becomes apparent the horrific abuse and neglect of the dogs on this very poor community and islanders. Thanks to this trip, I now have the charity, Animal Rehoming, on board to help send dog food out to these remote islanders. The shipping of the goods is still a bit of a headache, but I’m sure we’ll have that sorted in due course. Since this charity saw my postings of the dogs’ plight, we’ve received huge donations and we no longer have to buy our own pet food for our business. To date, $20,000 worth of dog food and supplies have been donated to us to pass on. Thanks to Bartercard and the power of the network, we’ve hooked up with some fantastic people that not only affect our business and income in a very very positive way but are helping communities in remote islands and I’m sure it’s not going to end here. So, we might not have loved Bartercard initially, but now we absolutely LOVE Bartercard. A huge thank you, Joe, for making me really fall in love with Bartercard. Bartercard has a long-standing relationship with the Waikato Chiefs through our Sponsorship scheme, which is continuing into the 2018 season. "Bartercard has allowed our organisation to approve capital expenditure projects based on a portion of that expense being purchased on trade. We primarily use our Trade Dollars for accommodation when the team is touring, team manager expenses, functions and events, sponsorship events, operating expenses and some capital expenditure. Bartercard has really helped us to preserve cash where we've needed to, and it's a great support network for other charities and organisations looking for sponsorship." Shaun Cosgrove is no stranger to Bartercard having been involved since 1998. His latest business, national real estate agency, Harcourts, joined in 2015. "We have used Trade Dollars for a huge range of items, from sign writing the cars and office space, to billboards, radio advertising, client gifts, restaurant vouchers and so much more. This has really helped me to preserve cash flow by allowing me to spend Trade Dollars on business expenses. Being a member has certainly had its benefits. I've experienced opportunities that I wouldn't normally have had - building a network of suppliers and tradespeople that I have won business through and reciprocated business with as well. Harcourts has secured clients that we may not necessarily have gotten if we hadn't been able to take a portion of their deposit with Trade Dollars. You can't ask for more than that!" Elco Canvas has been a member of Bartercard since it started in New Plymouth, about 15 years ago. Our primary purpose for using Bartercard is our manufactured products, such as our archgola-style canopies and shade sails. We’ve found Bartercard gives us an edge when competing for work, and we’ve secured many good contracts from out of town simply by being a member. Bartercard is the best of both worlds. We find it fits in well with our cash contracts, while helping us conserve cash by allowing us to spend our trade dollars on business expenses. Being a part of the Bartercard network has undoubtedly had a positive impact on our cashflow. I joined Bartercard in 2014 and have found the network is a great community where I can use Trade Dollars to purchase stock and everyday business items such as eftpos rolls, receipt books, first aid kit, staff gifts, display items, uniforms, signwriting and promotional items, as well as on repairs and maintenance. In the relatively short time I’ve been a member, I’ve seen increased trade from corporate clients who have now become regular customers, and an increase in nationwide clients, which I would not have had exposure to within the cash economy. Bartercard has provided me with the opportunity to showcase my business while building my awareness of NZ sourced products, and how diverse the range of trades and services are within the Bartercard community. We have a great relationship with Radio Rhema who we supply promotional gifts to every couple of months, the goods get shipped to Auckland and it’s a great way for us to be able to move excess stock. Admittedly it’s taken me a little time to get used to purchasing and spending through the exchange but I’m fortunate to have a great Trade Broker who has helped me find a good balance of trade and cash. I’ve also been able to treat myself and use Trade Dollars for personal drawings which is always a bonus! We’ve been with Bartercard for eight years now. The network allows us to save cash when buying materials, tools and equipment, and handling staff expenses. The extra work Bartercard brings in helps keep our workshop busy which means no downtime! We’ve been with Bartercard for approx. 16 years. During that time, Bartercard has helped us to increase cash flow, attract cash business, and create customer loyalty. Just one phone call and Bartercard makes it happen. One of the best business decisions we have made was joining Bartercard back in 1998. Being with the network for nearly 20 years, we’ve definitely experienced the rewards. Aside from helping us to secure more customers, we’ve been able to make the most of an interest-free credit line and improve cash flow. Bartercard has given us the opportunity to source and pay for products on Trade, that we otherwise would have been paying for in cash. Coffee, alcohol, cleaning products, electricians, marketing collateral, meal ingredients, you name it, we can buy it through the network. We even utilise Trade for staff incentives and bonuses; a win-win. As a business owner of multiple businesses and an accountant by trade, I would highly recommend any entrepreneur to have a go at this. Perhaps for most people the first year may be the hardest, trying to figure out how this works within your business, where to spend and on what etc. We were the same. But, if you were to sit on the fence then you will never know. I have met so many business owners that have been in the system for years, 10, 20 years and longer. If the system doesn’t work, why would they stick around for that long? And at any time, if things are not working for that moment, we can always turn it on and off. As a business owner, this has provided us with extra income when needed as well as exposure. Every business has spare capacity from time to time. We, as business owners, would always work hard, for ourselves, but we also want to make sure our staff always have work to do rather than sitting around doing nothing and still getting paid. This channel has been great for us and many others that we know of. Bartercard has say around 4-8,000 businesses on its database. Assume each business has an average of three staff. That is about 12-24,000 people that you get access to without doing a thing in marketing. It will come down to then whether you have the right products at the right time for them to consume. You may hear some complaints about Bartercard from those who don’t know how to spend. We see it as a positive, because we take it that people will come around to use our goods and services not because of need but want. Without extra Trade Dollars, they would not even have thought of spending cash on the item. For example, we would never need an event centre ever, for our business. But if one was on the system, then we would think about organising a few events for our business i.e. we would have our stock clearance sales once a year there for Tailor Made Suits, or organise some seminars for our accounting business. From an accountants point of view, I think some accountants may not understand the system, so perhaps finding an accountant that is involved with Bartercard may be a good idea. We have been able to give our clients a lot of unique ideas on how and where to spend their Trade Dollars effectively. On average each year we earn and then effectively spend at least T$50k respectively. These are sales and purchases we would not otherwise have if we were not on board. As long as you treat this the same way as any other bank account: don’t hide it from the IRD; keep personal expenses separate; don’t claim it for your business (all the usual things other accountant would say), I believe you will have many benefits being a part of the Bartercard network. I highly recommend that business owners have a close look, do all the home work you want, talk to Bartercard and have a crack at it. I'm relatively new to Bartercard, having joined in October 2016, but wow what an awesome experience I've had so far. Within a week of becoming a member, I'd received my first order, and within two weeks I'd received an order for a thousand dollars' worth of product - it certainly blew my expectations out of the water as well at that of my Trade Broker! The Trade Show I attended in December was hugely beneficial. My Trade Broker worked hard for me and my products, ensuring everyone went away with something! And now with the Trade Dollars I've made, I've enjoyed a few luxuries for myself as well as spending them on business expenses such as advertising in Verve magazine. I've met some really interesting and exciting people via the Bartercard network who have already helped me grow my business beyond what I thought it would be when I started. It's great encouragement when you have a network such as Bartercard supporting you, particularly when you work for yourself, and something I would recommend to any small business owner. It's almost like having a small team of cheerleaders calling me saying "how you going?!" and taking me for lunch! Just being really enthusiastic about my business which is really exciting. Thank you so much Bartercard! We’ve been a member of Bartercard for the past two years, and I can categorically say, it’s been the best thing we could have done. Being a part of the network has really opened up opportunities for the restaurant, and allowed us to realise a dream sooner than expected. Having an interest free line of credit meant we could use trade dollars to facilitate the building of the restaurant and pay for things such as plumbing services, furnishings, Eftpos terminals, and now we’re open, we use trade for purchasing wine which is a big expense for us (as well as other consumables, products and services). Being a part of Bartercard has expanded our customer reach into Palmerston North and also further afield to Wanganui – people are prepared to travel because we’re on Bartercard, but in turn they recommend us to cash paying customers which has helped our cash flow. Purchasing the wine in bulk on trade has significantly increased our cash profit return. One of our goals was to further expand by creating a purpose built function room, and this has been made possible in a relatively short space of time and earlier than planned by using the cash we’ve preserved thanks to trade dollars. Thank you Bartercard, the power of your network is incredible! I joined Bartercard NZ two years ago. I had been a member while I was in the UK so had a good knowledge of how it worked. When I moved back to New Zealand and set up a new business here, it was the ideal opportunity for me join the network - straight away it gave me immediate access to businesses I wouldn’t necessarily have had exposure to in a cash environment. It also helped me preserve cash, which was so important to me in the early days as I was able to purchase many items using trade dollars, i.e. telephone system, accountancy (huge bonus), printer/cartridges, accommodation when visiting new clients/prospecting. My wife has her own business too and has also become a Bartercard member. We’re both small businesses so it’s highly beneficial that we can preserve cash on business expenses, office supplies, entertaining, as well as personal expenditure (I wanted a kontiki so was fortunate enough to buy one through Bartercard meaning I didn’t have to take it out of the business!). Yes there are fees to pay and you can’t pay GST in trade but we make the system work for us and our circumstances. For example, I invoice her in trade for business development opportunities which I undertake on her behalf, she pays me in trade which I then use to pay a telemarketing company I work with. She then offsets the cost as a business expense and against GST. I know that people are skeptical about Bartercard and have preconceived ideas so you have to be open-minded to the opportunities when you join the network. You have to understand that you can’t get everything through Bartercard. You do have to make it work for you and get your Trade Broker working for you but with an understanding of how the system operates, the network can be hugely beneficial. It’s good to have an accountant on board who understands Bartercard, and better still be a member, but it’s not difficult - transactions occur the same way as cash purchases. We have been a Bartercard member for 17 years. As owners of a food/confectionery manufacturing business, a gift basket business and a newly added café, Bartercard is and has been of substantial benefit to our business over those years. Rather than having to spend cash, we were able to utilise our trade dollars on a range of products and services which were usual cash spends, these included tradesmen for R&M, equipment, packaging and packaging supplies, gift baskets and contents for gifts baskets. Recently we expanded by adding the cafe and Bartercard was a huge benefit in helping with the fit out, we utilised trade dollars to buy kitchen equipment, furniture, crockery, water cooler, as well as other services such as our website, advertising, printing and products for sale in our café like gelato and high end chocolates. Over the years we have seen a steady increase in customer traffic with very little effort on our behalf – we put this down to being a Bartercard member and being exposed to a network we wouldn’t have had if we were just in a cash business. We make it work for us, but being in this industry we haven’t found it difficult. Bartercard has allowed not only the business to thrive but it’s allowed us to grow. Our long-standing business had been a food & confectionery factory, manufacturing predominantly fudge and other associated products, with a small factory shop. The dream had been to grow the business into an integrated factory & café and retail shop with a higher profile, to increase our reach to a direct customer. Without Bartercard, we would not have been able to achieve this, we opened the new premises a few months ago. With the interest free line of credit we were able to pay for a large amount of the expansion costs on Bartercard. Our company, R J Eager (1989) Ltd, has been Trading with Bartercard for over 14 years. Bartercard trading has increased our business both locally and out of Taranaki Clients. We have been able to purchase many services for our Business with Bartercard, therefore not having to use up valuable Cash Flow. Bartercard has been very useful for Personal use. I always encourage all Business Owners to look into Bartercard Trading. Bartercard has been very good all round for our Company. Bartercard has opened up new markets to us to sell our product. Businesses use our services for staff function entertainment, gift vouchers as incentives or customer thank yous, or for aerial surveys / photography work. We also find that domestic and international tourist numbers has increased due to us accepting Bartercard for all our products and services. We have no hesitation in recommending Bartercard as a business tool. While I was in Fiji enjoying myself, it suddenly become apparent the horrific abuse and neglect of the dogs on this very poor community and islanders. Thanks to this trip, I now have the charity, Animal Rehoming, on board to help send dog food out to these remote islanders. The shipping of the goods is still a bit of a headache, but I’m sure we’ll have that sorted in due course. Since this charity saw my postings of the dogs’ plight, we’ve received huge donations and we no longer have to buy our own pet food for our business. To date, $20,000 worth of dog food and supplies have been donated to us to pass on. Since becoming a member we've quickly utilised the interest free line of credit. We've spent less cash on cash expenses typically involved with the building industry, which means I've been able to utilise that cash to purchase more land and build more houses. Bartercard has helped the business to secure more customers. It's allowed me to sell my properties quickly from the Bartercard pool of buyers and obtain the full listing price, which is a competitive advantage in a slow property market. My Trade Broker has helped bring on lots of new members for me to trade with. Typically, I spend Trade Dollars on rental management expenses, client hosting, restaurants, purchasing corporate gifts. Undoubtedly, Bartercard has allowed me to build more houses, it's created new relationships with subcontractors and suppliers I would have otherwise not had. On a personal level, it's created more lifestyle choices for me and my family, and given us the opportunity to eat out at restaurants like Ember and Furnace.